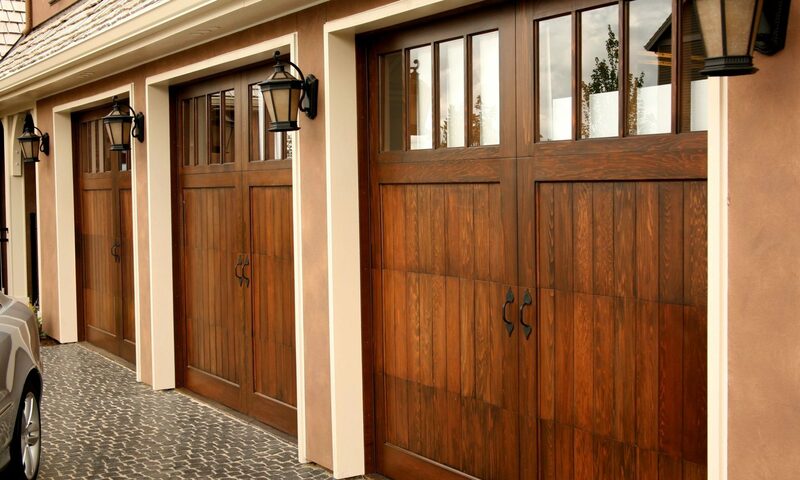 Looking for the best garage door company reviews in the Austin Cedar Park and Round Rock areas? 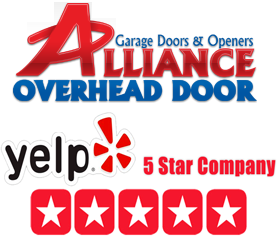 Most of all Alliance Overhead Doors is a 5 Star rated business on Yelp with nearly 100 reviews to date. Great reviews for everything from new installations of garage doors, repairs and automatic garage door opener services. As a result the yelp reviews for garage door services below is a sampling from yelp reviewers that love our service. 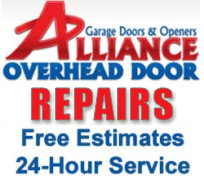 When looking for a garage door repair company I called Alliance a few times and they tried to help me on the phone before even coming out to the house, which was awesome! As a result I called back again and they showed up that same day to look at the problem with the garage. They did not charge me anything for the service call. I didn’t feel cheated or roped into buying anything that wasn’t necessary. Believe the reviews I highly recommend them! Chris has come out to our house twice for garage door repairs. During his first visit he had to do pretty substantial replacements on pulley, wheels, and one set of springs. With a new garage door opener that had a small broken piece he fixed that for free. Furthermore the second time he came out he replaced the other set of springs making sure safety cables were installed in all. Throughout both visits, Chris was responsive, polite, timely, honest, and provided a good value. We definitely recommend Alliance and we will use them again. This company is great. They are honest, reliable and work quickly. Not installed by Alliance our garage door was broke during the recent storms. They showed up the same day we called and worked in the rain because we needed to get the door working again. We will probably replace the door in the near future and we will be using them. Thanks for the help! First of all, let me say that there’s not enough words to express how amazingly happy my husband Jeff and I are with this Austin based company! Our garage door broke on Saturday evening, so my husband decided to call Alliance on Sunday morning…solely based on the incredibly positive reviews it had received on Yelp. I am so glad we called! My husband spoke to Chris the owner, and he was at our house within the hour…on a Sunday nonetheless! As a result he was able to diagnose and fix our garage door problem with ease! He had everything he needed on his truck and our garage door is now fixed. We add that it’s working better than since we moved in! And the pricing was extremely fair I might add! A company that’s professional with a true passion for helping people! I cannot say enough good things about our experience with Alliance! It is so comforting to know that if anything goes wrong in the future with our garage door, we know who to call! I have already spoken to some of my colleagues at work about my amazing experience! Furthermore he quickly turned a scary situation of having to repair something major in our home to a truly positive one, and I am so extremely grateful for that! So, yes! Believe all of the positive review you have read here about their company! The reviews are true and they’re the go to company in Austin for all things garage door related.